I started a statutory periodic tenancy with my Corporate Landlord on 17 April 2017. I have repeatedly been asked to leave – nine Section 21 notices issued so far, all of them invalid. The latest notice ordered me to leave on 17 January 2019. I wrote to the Landlord’s solicitors on 14/01/2019 to say that I had no plans to move and that they could take me to court. I was issued with the latest Gas Safety Certificate in October 2018 before a S.21 notice was served on me in November 2018. I knew that the very first Gas Safety Certificate should have been handed to me before I moved into the property. Thus, the Landlord’s representative contacted me to say that there would be no court case (because of non-compliance with the rules relating to gas safety). Instead, they want me to supply them with references and sign a new tenancy agreement – I was told that I cannot carry on living here if I ignore these 2 new conditions. Both the Landlord and I are aware that the accelerated procedure for possession cannot be used in the absence of a written contract. I know that the Landlord intends to evict me as soon as a new agreement is signed and I refuse to do so. Besides, what legal right does a Landlord have to ask an existing tenant for references? I intend to write to them when they put pressure on me to sign as soon as possible, to tell them that I still have a valid statutory periodic tenancy, even if there is no signed tenancy agreement. My problem is that I am unsure about the legislation to quote on this. Is it S. 54(2) of the Law of Property Act 1925 or S.5 of the Housing Act 1988? I have another query related to this. I have been informed that the new contract would take effect from 17 February 2019, but I am pretty sure that the Landlord wants the tenancy agreement to be signed in advance. I have read somewhere that if a Landlord signs an agreement anytime before it takes effect, then it would be rendered null and void. Is this true? Your landlord is trying it on! Assuming a tenant has a ‘right to rent’ in the UK, and assuming the tenancy is an assured shorthold tenancy (which yours almost certainly is) there are only two legal ways a landlord can get vacant possession of a property rented as a residential tenancy. A court bailiff or High Court Enforcement Officer acting on the authority of a Court Order for Possession. So it follows that if you fail to move out, your landlord will need to get a Court Order. Which, from the information you have provided, looks impossible as the law currently stands. The first is the serious rent arrears ground. But presumably, you are not in arrears of rent. 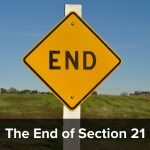 The section is section 21. However as you have rightly pointed out, if your landlords failed to serve a gas safety certificate on you before you moved into the property, section 21 is no longer available to them. As explained in this post. It looks as if this situation is not going to change any time soon as the government have confirmed that they are not going to bring corrective legislation. So when your landlords tell you that you cannot carry on living at the property unless you sign a new agreement – they are talking rubbish. Periodic tenancies and the new tenancy agreement. When the fixed term of an assured shorthold tenancy ends, a new ‘periodic’ tenancy will automatically spring into place under the provisions of section 5 of the Housing Act 1988. This says that the new ‘periodic tenancy’ will be under the same terms and conditions as the preceding fixed term tenancy and the period will relate to the rent period. So if you pay rent monthly it will be a monthly periodic tenancy. Which means that after the end of your fixed term, you will still have a tenancy. 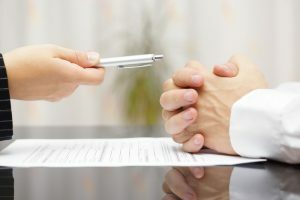 There is no need for you to sign a new tenancy agreement. As the law stands at the moment then, you can safely refuse to sign anything – as normally landlords pressurise tenants into signing new agreements by saying that if they don’t they will have to leave. However, in your case, your landlord cannot make this threat as you cannot be evicted – unless you fall into arrears or behave badly. As section 21 is no longer available to your landlord you are effectively an assured tenant – with long term security of tenure. The only way this will change is if another case is taken to the Court of Appeal or Supreme Court which overrules the Caridon Property Ltd case (the case which decided the gas certificate point). Unless the government changes its mind and brings corrective legislation after all. So you can refuse to sign the new tenancy agreement – unless you consider signing it will be in your best interests. Which is unlikely. And you can also refuse to provide the references – unless this is specifically provided for in your tenancy agreement. Which is also unlikely. This also resolves your final question – as my advice is not to sign the new contract. Tell them that you have taken legal advice and you have been advised that they cannot evict you under section 21 as no gas safety certificate was served on you before you moved into the property. Under the ruling in the case of Caridon Property Ltd v Monty Shooltz, this is an absolute bar to their using section 21. Say that you have also been advised that it is not necessary for you to sign a new tenancy agreement – as after your fixed term ends, you will have a perfectly valid periodic tenancy under the provisions of section 5 of the Housing Act 1988. Go on to say that you have checked the provisions of your tenancy agreement (make sure you do this) and cannot find any obligation on your part to provide references. If they disagree can they please refer you to the relevant clause. End up by saying that your legal adviser is concerned that they are telling you that you will be unable to live in the property if you fail to sign the tenancy agreement or provide the references. This is not the case as they can only require you to leave by obtaining a court order for possession. Which they cannot do. If they make any further threats of this nature, tell them, you will be treating this as harassment which, pursuant to the Protection from Eviction Act 1977, is both a criminal office and a civil wrong entitling you to claim compensation. Hopefully, that will stop them from making any more threats! Incidentally, if you are willing to move out if you are paid compensation – there is no reason why you should not let them know this (in a ‘without prejudice letter’) and try to negotiate a suitable sum. Although you will find it easier to do this using solicitors (see here for example where this solicitor achieved a substantial buy out where the tenant had a protected tenancy). Tessa, you just missed out the last bit..
Great long answer you’ve given though. My advice on that was that he should refuse to sign the new agreement. So we don’t need to consider that question. Even if it did negate the agreement, a tenancy will be created anyway when the tenant goes into occupation, under s54(2) of the Law of Property Act 1925 and the tenancy will be deemed to be under the same terms and conditions as the signed document. If you want to be really technical about it – the contract element of the agreement will be valid but it probably won’t actually create a tenancy – until they move in, becauase of the way section 54 works. This must happen a lot but no-one bothers about it as it all comes down to the same thing in the end. Is there any equivalent to the gas documentation for electric properties? But there’s prescribed information of some kind either way isn’t there? What’s right to rent? Why might they correct the legislation? You will find these things looked at elsewhere on the site. This post is answering a specific question. I can’t cram the whole law into one answer or every post would be interminably long! There is no prescribed information for electrics yet. There was a legal challenge against this that was due to be heard in the High Court in December, but I’ve not heard anything since. I might have missed it? I absolutely despise this particular bit of legislation, to be honest. The Deregulation Act of 2015 “corrected” and clarified the position of fixed term tenancies that began before April 2007 but became statutory periodic tenancies thereafter. Superstrike V. Rodrigues found that at this point, a new tenancy was formed. and therefore the deposit would have to be protected. 1. There were a number of tenancies that had “rolled on” like this that were now in breach of the regulations, and the path back to compliance was not obvious. 2. It raised the question of what to do, in general, with fixed term tenancies that become statutory periodics thereafter, even if the deposit had already been protected and the prescribed information given. There was the suggestion that it would be necessary to re-protect the deposit and reserve the prescribed information. The Deregulation Act confirmed that a new tenancy had indeed been created upon the expiry of the fixed term tenancy, however it allowed landlords a path back to compliance by giving them 90 days to protect deposits from when the act came into force. 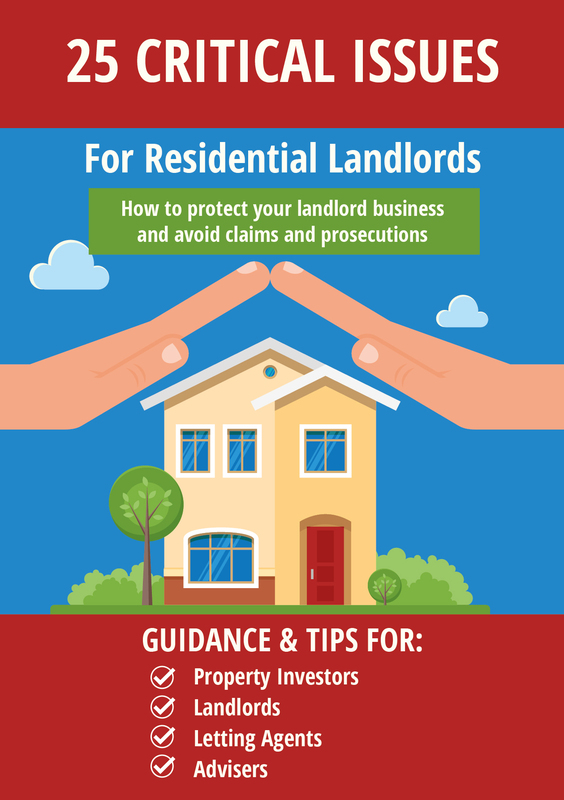 In the case relevant to this particular post, there is no path back to compliance for landlords and agents who have failed to serve a gas certificate to their tenants before the tenancy. And there is no ability to evict their tenants under Section 21, ever, unless, presumably, a new fixed-term agreement is signed after service of a gas cert (uhhh.. I think. Not a lawyer. Tessa?). So it was thought by RLA and others that the government might consider passing legislation that will allow people to “correct” their mistake as they had already done previously. The government has said they’re not going to bother though. A closer read of the situation shows that the circumstances are not the same, which is probably why the government won’t correct. The regulations for gas require that the certificate be provided “before that tenant occupies”, not “before the tenancy starts”. Therefore it is unlikely that agreeing a new tenancy would allow a valid S21 notice to be issued where the certificate was not provided before the first tenancy. The government has indicated that it plans to make EICRs mandatory, as they already are in Scotland. I can easily see future regulation making provision of EICRs to tenants a condition of being able to serve Section 21. 1. Have a valid EICR. Follow any recommendations advised by the electrician. 2. Visually inspect the condition of the wiring and electrical sockets between each tenancy. Make sure you have a record of this, such as pictures. This should be part of your inventory procedure. 3. Conduct PAT testing on any appliances between each tenancy. Keep that certificate on file. With regard to this post, I was just wondering whether Section 5 of the Housing Act 1988 is of any relevance here as the tenant never had a tenancy agreement in place before he moved in, whereas . Section 5 of the Housing Act 1988 is referring to situations where a rolling statutory periodic tenancy started immediately after a fixed term under contract? If there was no tenancy agreement there would still have been some sort of initial term – even if this was only a month. After which section 5 and the statutory periodic tenancy will kick in. Not that it would make a practical difference in most cases, but wouldn’t an oral tenancy from the start normally be a periodic tenancy from the start, as opposed to say your example of one month fixed term followed by a monthly statutory periodic tenancy? You may be right. It would depend on the circumstances when the tenant went in. Presumably the landlord, even if he cannot bring possession proceedings against Sanjay can still put the rent up each year via the s13 procedure and the service of an appropriate Notice proposing a new rent – assuming there is no provision within the AST itself for rent increases. Of course, Sanjay could refer the Notice to a tribunal to have the tribunal decide what the new rent should be. If the landlord sets the new rent at a level reflecting the genuine market rent of a comparable property the ‘immovable tenant’ ought not to be able to persuade the tribunal to set a lower rent. 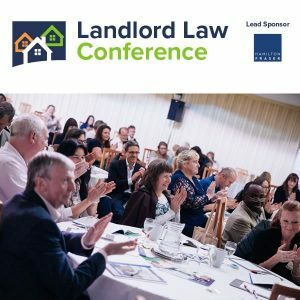 I suppose that the landlord who wished the tenant to sign up to a new tenancy agreement (and so thereby lose his immovability) might on a ‘Without Prejudice’ basis – so as to keep it from the eyes of the tribunal – offer a new tenancy agreement at a somewhat lower rent than is stipulated in the section 13 Notice. The tenant thus has a choice – pay the new rent as stipulated in the section 13 notice or pay a somewhat lower rent under a new tenancy agreement. Obviously the difference would have to be tempting enough for the tenant to want to take the new tenancy agreement. Would a £5 per week differential be tempting enough? Possibly not but taking a tenancy £5 a week cheaper than the amount stipulated in the section 13 notice would save the tenant £260 over the course of a year and most people would certainly switch their car insurance if they could get it £260 a year cheaper. I suppose the question for the tenant is what price is his immovability worth to him? if he’s got kids in a good local school he might value his immovability very highly. If he’s young, free and single then maybe not so highly. And as you say that immovability might only be temporary if and could get snatched away as when and if there is a judicial decision which overrules the Caridon Property case.